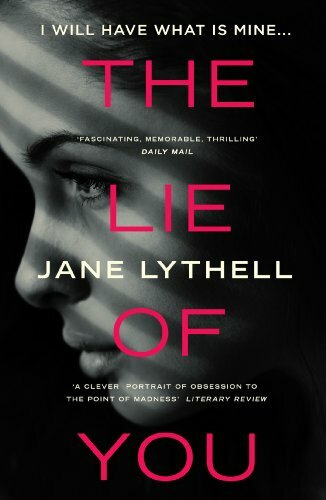 An intriguing story of psychological suspense rather than a thriller The Lie of You dives beneath the surface of the reason why Heja is obsessed with the minutia of Kathy’s life. Kathy has recently returned to the workplace following the birth of her son and Heja is watching and waiting for her it would seem. Heja is efficient and a former darling of Finland’s TV it is a mystery as to why she has ended up in a junior role on a magazine. Heja’s own portrayal of the situation is done well. This is a fascinating book to read as a snapshot of how some women judge each other and the author has taken the everyday comments you hear and magnified them into the storyline which gives a feeling not only of a genuine working relationship, but also makes the reader think about the interactions we have with our colleagues. Fortunately because the structure of the book is to have each woman’s narration, we get to see Kathy’s view of the relationship too. Here things don’t seem quite as simple and if Kathy is right then there are some clear malevolent acts carried out by Heja with small but spiteful ways designed to undermine her boss in the workplace. What could have caused all this angst? We then meet Marcus Kathy’s husband and everything we’ve been told seems is now seen in a slightly different frame. In true psychological suspense style the reader is likely to feel that their feelings about the situation change as the book progresses which I have to admit I always admire. So there is lots to admire and I really was keen to see how the story would progress and of course was itching to know what the resolution would be. I think the characterisation and the observational aspect of the interactions of both women was well done, however Marcus seemed to remain a somewhat sketchy character. His actions didn’t quite match up with how we were told, mainly by Kathy, that he behaved and this was a little disconcerting because I have no issue with unreliable narrators but this seemed a little bit more disconnected than a deliberate rose-tinted view of the world. The story got off to a cracking start and it should be noted that this isn’t a roller-coaster ride of events, more a slow unveiling of the truth and in that regard it kept a steady pace with the revelations mostly evenly presented. I have to admit I’d expected more office scenes than we actually got with much of the drama being of a far more domestic nature and therefore domestic details and less of the high-powered working woman than I expected. That said it was easy to imagine the scenes in London of the hustle and bustle carrying on as a background to the relationship Kathy and Heja becoming more and more tense and claustrophobic. An enjoyable read that did all the good things you expect of this genre which was of course less crowded in 2014 when this book was written. Looking through a prism is it exactly Margot! I love the way you are so very kind and ‘diplomatic ‘ when sharing your thoughts/reservations about a title. Great review Cleo. I do like books told with multiple perspectives, especially when they are very different. A slow reveal is enjoyable to me, too. Thanks for sharing. You are most welcome Laurel. Sounds great. I like a slow burn as much as a rollercoaster. I think both have their place too. I like a slow burn thriller Cleo – this sounds good. It was an interesting look at the worst of the ways women interact with each other! I like this genre as much as the psychological thrillers. Great review, Cleo.